Peng Yanni has over 20 years of experience in the field of non-profit management, social enterprise and social investment, and public services to vulnerable groups. 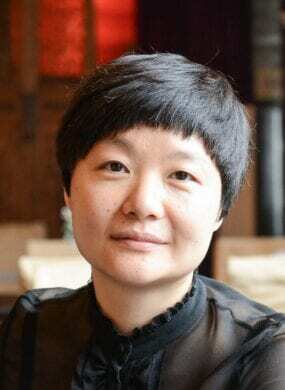 She is CEO of Narada Foundation which is a leading grant-making foundation based in Beijing. As a member of the strategy committee of the Board of Directors, she was involved in developing Narada Foundation’s 2017-2019 strategy. She sits on the boards of a few non-profit organizations including China Foundation Center, China Foundation Forum, China Donors Routable, China Social Enterprise and Investment Forum, China Alliance for Fundraising Professionals and New Citizens Center. Peng Yanni was Executive Director of United in Diversity China Fund of Giti Group from 2011 to 2012 and has successfully brought Theory U, a tri-sector leadership program, from MIT to China. She worked for the British Council for 8 years from 2003 to 2011. In her capacity of Assistant Director Social Development, she led the design and delivery of the Skills for Social Entrepreneurs Project which is a flagship project in social enterprise and social innovation area in China. The project has successfully promoted the concept and practice of social enterprise in China. Before joining the British Council, Yanni worked for Ministry of Civil Affairs for 6 years focusing on public services to vulnerable children. Peng Yanni holds a master degree in Social Policy and Planning in Developing Countries from London School of Economics and a Bachelor degree in Business Management from Renmin University of China.